For All You Peanut Butter Lovers Out There!!! For all you fellow peanut butter lovers out there, how about this delicious flavor! White Chocolate Cherry Peanut Butter. Are you salivating now just thinking about it? 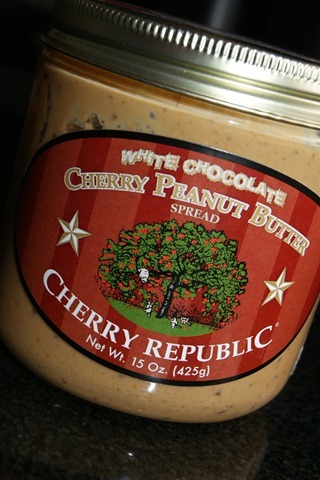 You can buy this fabulous peanut butter here from Cherry Republic in Michigan. They also have delicious Boomchunka cookies and Wonderbars sold here. I love cherries and I love all their stuff, so yummy! 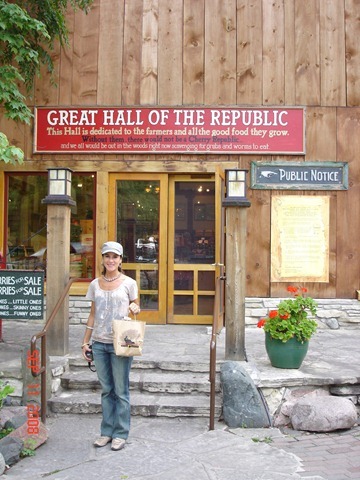 Here I am standing outside the Cherry Republic store in Michigan a few years ago. And yes, I’ve got a bag full! 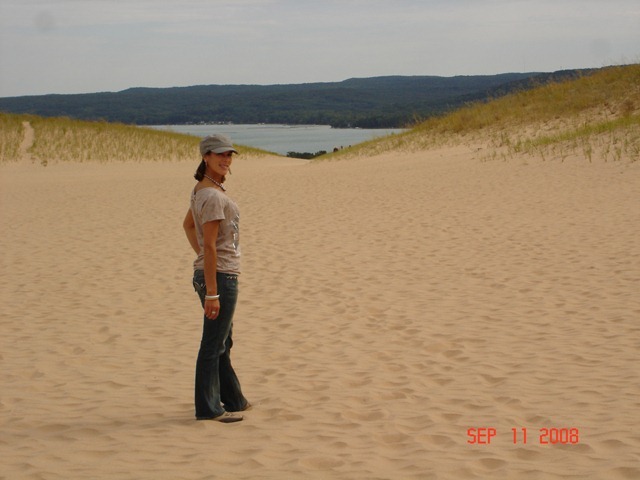 Riding dune buggies on the sand dunes was a blast!!! And walking up and down the dunes was hard work! 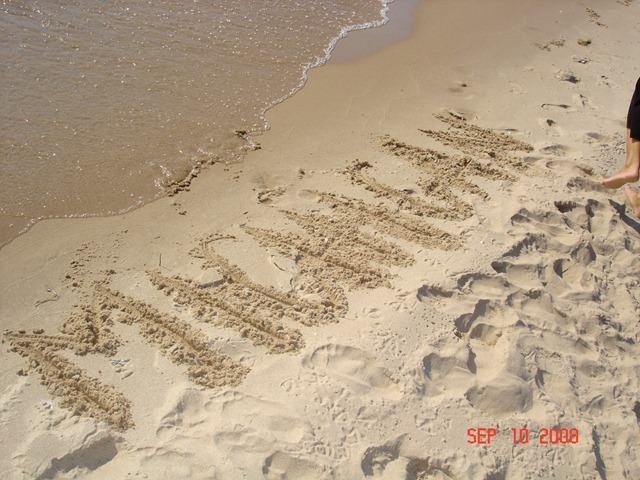 Just a glimpse of our trip to Michigan a few years ago. I really just wanted to share the peanut butter with ya, but thought I’d add in a few pictures too. What is the most outrageous flavor of peanut butter you have tried? This entry was posted in Deliciousness and tagged Peanut butter. Bookmark the permalink. 14 Responses to For All You Peanut Butter Lovers Out There!!! mmm, that peanut butter does sound delicious! i really love any nut butters with hazelnuts mixed in! Oh, that sounds like a perfect combo for nut butter! Yum! I’ve never had a “fruity” peanut butter, but it makes sense in retrospect, like PB and J all in one! 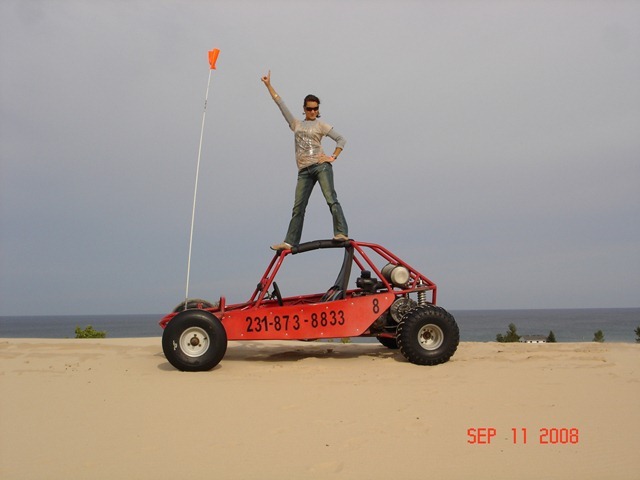 Love the dune buggy pics! say whaaaa? THATS LIKE PB AND J with white chocolate! uhh, hello healthy cookie dough in a spoon!! I seriously want to have a PB factory and make a ton of crazy, freakin good flavors when I get older. How awesome would that be? Wow, as a pb-obsessed girl, that looks incredible! !